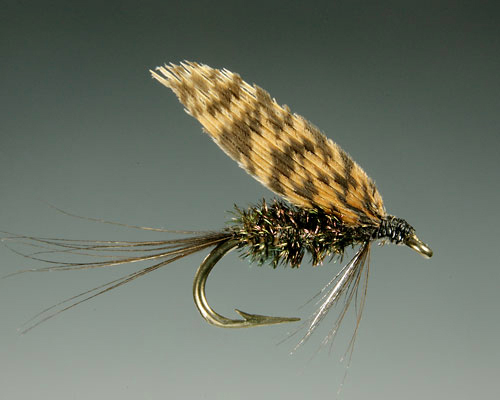 The successful Esopus Creek angler observes the natural insect on the water (the “hatch”) and endeavors to “match the hatch” by mimicing its size, shape, color and behavior as closely as possible with an artificial fly. Often, many patterns exist that will do the job in a given situation, and sometimes an approximation works as well as an exact imitation. For example, the flies found in the "Attractor" category of the hatch chart don't seem to imitate any bug species, but apparently present one or several visual cues to the trout that trigger a feeding response. 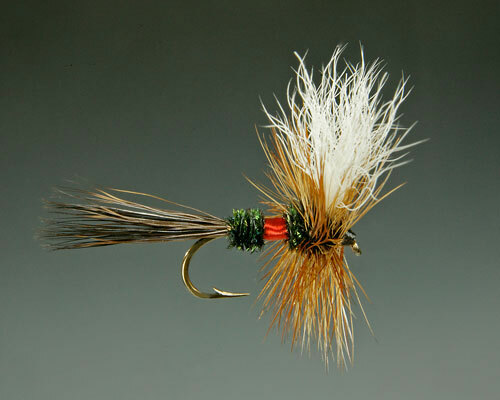 Every experienced fly fisherman has his or her favorites. Keen observation is critical. Experimentation is often rewarded. The range and density of any healthy, naturally occurring insect population waxes and wanes over time. The size and color shading of a species can vary from one watershed to another, and even within different areas of the same watershed. The size and color shading of individuals within a species can vary over the course of a day or season. In the case of the mayfly group, for example, individuals' body color will be most vivid shortly after hatching. As the insect progresses to the spinner (egg-laying) stage, its body gradually turns darker and glossier, and the wings become clear. For these reasons, it is sometimes difficult to precisely identify the insect species observed on the water. It is not really necessary to "match the hatch" with a totally accurate species identification, using the exact fly patterns recommended in this web site. 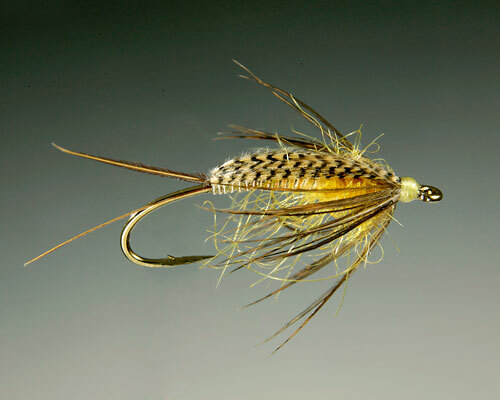 The patterns depicted here represent an historical survey of the fly patterns that have proven effective in the Esopus Creek fishery over the years. 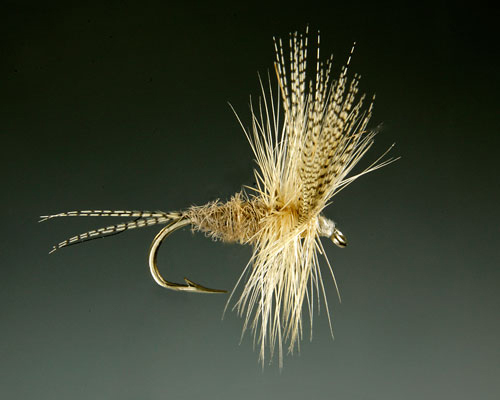 Some patterns, like the Red Fox dry fly, or the Black Turkey wet fly, were conceived, developed, and tested on Esopus waters. 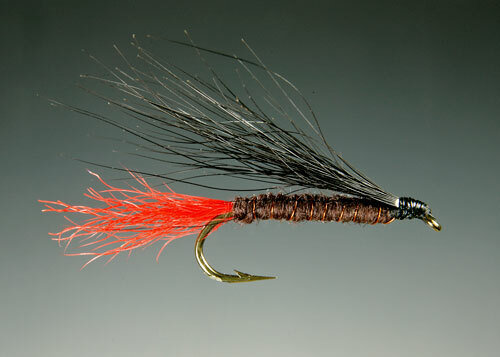 Others, like the Black Bear Streamer, are not well known outside Esopus fly fishing circles. 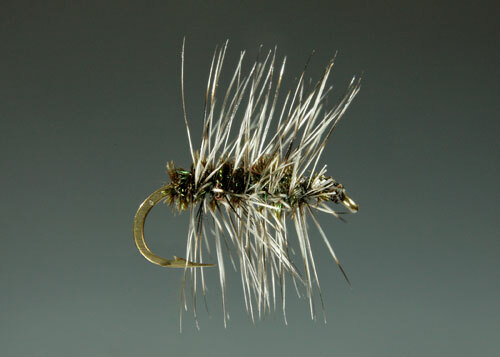 Others, like the Royal Wulff and Adams dry flies, are used successfully all over the world, but were conceived in and grew out of the traditional Catskill tying style. 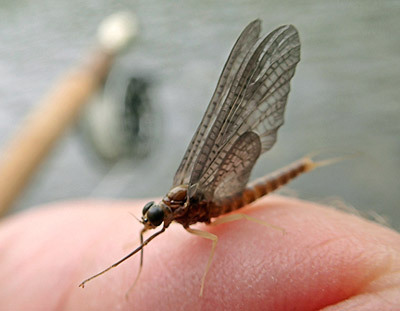 Whether the flies shown here require an elaborate architecture (Stonefly Creeper), or are relatively simple and easy to tie (Griffith's Gnat), they all have a proven track record of catching trout in Catskill waters. As with many famous fly fishing rivers, a life-like presentation executed with confidence remains the most important variable to angling success on the Esopus Creek and its tributaries. It may be worth while to caution the less experienced fly fisher that no matter how excellent an artificial fly may be, no matter how well it may imitate the natural on the water, skill in presenting it to the fish is still essential." ©2019 Jerry Bartlett Angling Collection. All rights reserved.